Taylor, 1838 (U.K.) - W.H. 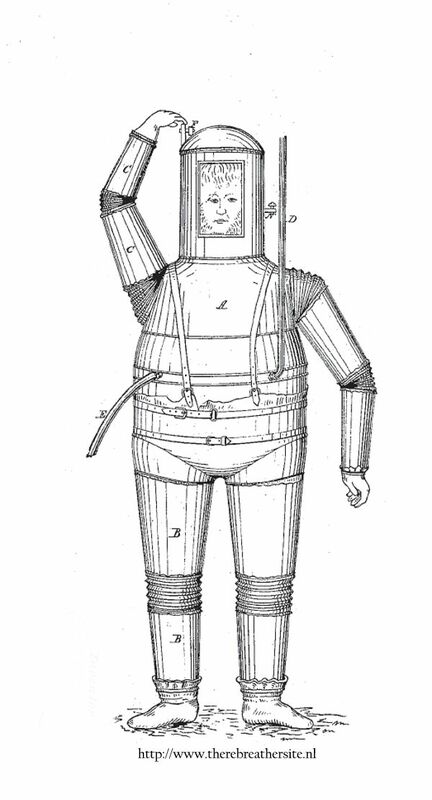 Taylor designed the first known armoured diving suit with articulating joints in 1838. 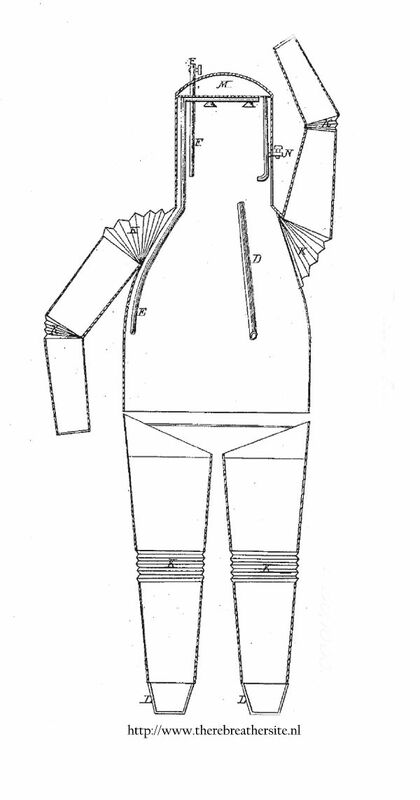 The suit was to be surface-supplied and had accordion-like joints of spring steel, reinforced and water sealed with leather. From his drawing, it seems that either Taylor had no intentions of his suit being a true atmospheric diving suit, or else had no understanding of the depth-pressure relationship. The suit appeared to exhaust directly into the surrounding water from a short hose located at the divers waist. Therefore, the interior pressure would have had to be greater than the water pressure at depth. Also, the soft cloth joints of the suit would have most likely collapsed when exposed to any considerable pressure. Read all about the great luxury designed for the diver.. The main problem with this type of joint was the fabric strength, which limited the suit to 150 feet (Marx, 1971). This might be the same William H. Taylor…. The problem with the Lethbridge gear was that the diver hardly had a possibility to move. This is something that has challenged inventors from that day on until today. The first guy that designed a suit with real joints was William Taylor in 1838. It is not sure the suit was ever actually produced. Taylor designed the joints as leather pieces with rings in the shape of a spring (known as the accordion joint). Hands and feet were covered with leather. Taylor also designed a ballast tank to the suit that could be filled with water to achieve negative buoyancy.